Three recent polls in Quebec suggest the NDP might be back to where it was before the Orange Wave started building. That makes three surveys — including two (Mainstreet and Léger) with large samples in the province — putting the NDP below the 12.2 per cent of the vote the party captured in Quebec in the 2008 federal election, when Tom Mulcair was the province's sole NDP MP. The last time Léger polled the New Democrats at a lower level of support in Quebec than it's recording now was in February 2007, a few months before Mulcair scored his upset byelection victory in the riding of Outremont. Outremont will once again be up for grabs in the Feb. 25 byelection being held to fill the vacancy left by Mulcair's departure from federal politics. The polls don't make it possible to pinpoint the exact reason behind the NDP's continuing slippage, but the leadership of Jagmeet Singh does not appear to be helping. Nanos finds that just six per cent of Quebecers choose the former Ontario MPP as the best person to be prime minister, well behind the current occupant of the office, Justin Trudeau (44 per cent), Conservative Leader Andrew Scheer (18 per cent) and People's Party Leader Maxime Bernier (10 per cent). Singh just barely edges out the new Bloc Québécois leader, Yves-François Blanchet (who isn't running for the job of prime minister), and Elizabeth May of the Greens. No single party seems to be the biggest beneficiary of the NDP's dip since the end of October and early November — the last time Léger, Mainstreet and Nanos were all in the field at the same time. Nanos gives the Conservatives the biggest boost since then, with the Liberals and Bloc also picking up steam. Mainstreet sprinkles marginal gains for the Liberals, Greens and People's Party, as does Léger, in addition to a larger bounce for the Bloc. Léger's survey is the only one of the three conducted entirely after Blanchet was acclaimed as the new leader of the Bloc Québécois on Jan. 17. The Liberals, Conservatives and the Bloc are all looking to make seat gains at the expense of the NDP. All 16 of the New Democrats' Quebec seats are vulnerable. Regardless of how its support is distributed, the NDP would struggle to hold any seat in the province if its support dips into single digits. The CBC Poll Tracker currently projects the party is favoured to win no seats in Quebec and is in contention in only one: Alexandre Boulerice's riding of Rosemont–La Petite-Patrie on the island of Montreal. Léger gives the NDP the same level of support among francophones and non-francophones, and eight per cent in the Montreal region, 11 per cent in and around Quebec City and seven per cent everywhere else. Both Léger and Mainstreet put the NDP behind the People's Party in Quebec City and in a (distant) second place only in the east end of Montreal. 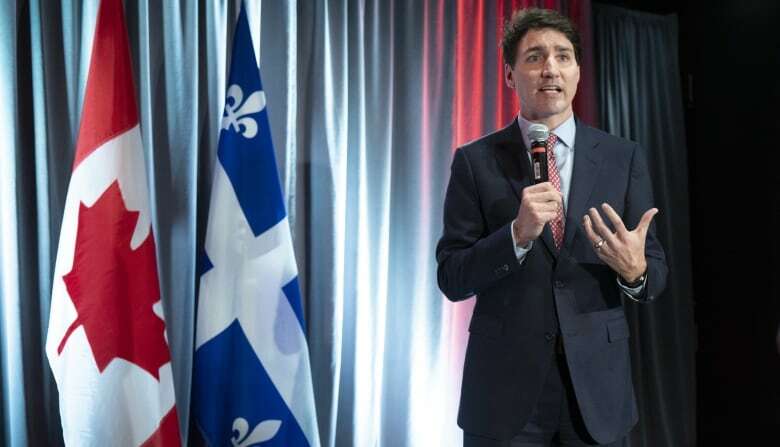 The chances that the party could replicate some of the gains made in October's provincial election by Québec Solidaire — the left-wing sovereigntist (and orange-hued) party that went from three to 10 seats — appear slim. Léger found the NDP sitting in third place among QS's small pool of voters, behind the Liberals and the Bloc. If these trends hold, the NDP's rivals will be circling. The Poll Tracker suggests the Liberals are favoured to win all but one of the NDP's 16 seats in the province, but the Bloc is in contention in as many as six of them (primarily in and around Montreal) and the Conservatives in three (mostly in central Quebec). These trends might not hold, of course. The Rule of Three is by no means ironclad and the next set of polls might contradict these early signs of a trend. 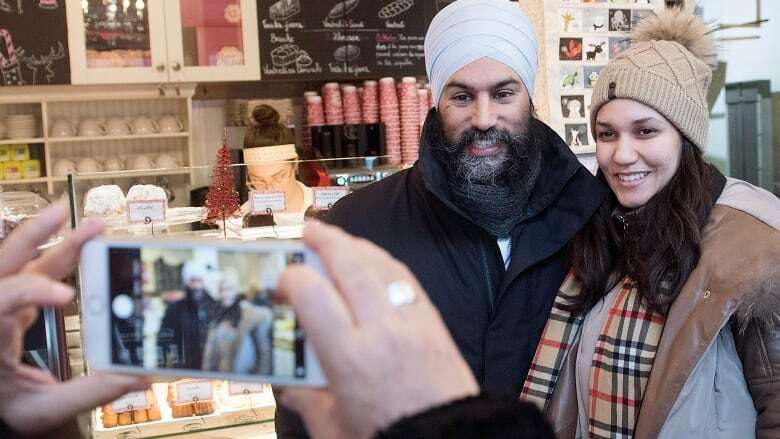 But with a byelection looming in an iconic Quebec riding for the party, it's a bad time for the New Democrats to be hitting a polling low they haven't seen in over a decade.